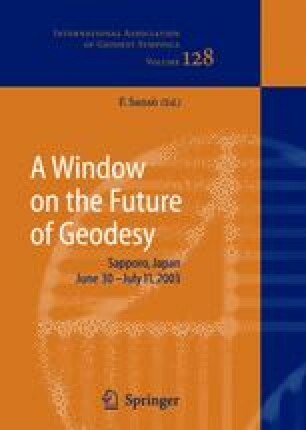 The Global Positioning System (GPS) data observed in the Tsukuba 2000 and 2001 GPS/MET dense network campaigns were analyzed. In these campaigns about 75 GPS receivers were installed in a 20 × 20 km area with 1.5km – 3.0km intervals. The 2000 campaign was carried out late fall for 31 days and the 2001 campaign in the summer season for 53 days. GAMIT/GLOBK GPS analyzing software was applied to the analysis. In the analysis of the Tsukuba 2000 campaign data, the time variation of the vertical component changed simultaneously at all the sites, making the correlated motion among the campaign sites. It might be attributed to the fact that constraints on the vertical component of Tsukuba IGS site (TSKB), a fiducial site of the campaign, were too loose. The variation was in the range of 20 – 30 mm with a one-sigma repeatability of 4 – 7 mm. When we examine the vertical component of the baseline vectors of each site with reference to one site, TSKB, the time variation of the vertical components with reference to the TSKB site was much smaller than for single stations. The time variation was in the range of 10 – 20 mm with the one-sigma repeatability of 2 – 6 mm. in this case for the 2000 campaign. The repeatability of the baseline vector among the network sites had a weak dependency on the baseline length, with the zero length repeatability of 3.17 mm and a baseline length dependency of 0.11 ppm. Meanwhile, in the 2001 campaign, the time variation of the baseline height was around 10 mm and almost random. The relationship between the baseline length and vertical repeatability of the baseline vector among the network sites was strong, with the zero length repeatability of 3.36 mm and the baseline dependency of 0.17 ppm during the 2001 campaign.